Many Missouri residents wonder what the Chapter 7 bankruptcy test are and how they are used to determine eligibility for Chapter 7 bankruptcy relief. It turns out that the means tests used to determine Chapter 7 bankruptcy eligibility are a series of number-based tests that use information about a debtor's income and expenses to determine eligibility for Chapter 7 bankruptcy relief. Here is a quick overview of how these means tests are used to determine eligibility for Chapter 7 bankruptcy relief. --The first test determines if a debtor earns less than the median Missouri household income for a given year. This is an important calculation because debtors who earn less than Missouri's state's household's average income are automatically eligible to file for Chapter 7 bankruptcy. --If the debtor fails this first test, debtor's attorney must then determine the debtor's disposable income. Bankruptcy courts determine debtor's disposable income because they use this information to determine if a debtor can afford to pay at least some of his debts. As a result, debtors who fail the first means test must provide information about how much they spend for different items such as childcare, charitable contributions and secured payments on car and house. Bankruptcy courts use this information to determine a debtor's disposable income by subtracting the sum of these expenditures from the debtor's monthly income. If the remaining income is greater than what is allowed by the U.S. bankruptcy code for your household, you will not be allowed to file for Chapter 7 bankruptcy in most cases. Instead, you could be required to file for Chapter 13 bankruptcy reorganization that will require you to pay at least some of your debts back to your creditors. The factors used to determine your household's income vary in Missouri because each city and county uses income guidelines that vary by population. Therefore, if you need help understanding how the means tests are used to determine Chapter 7 bankruptcy process, please contact a St. Louis bankruptcy attorney or a St. Charles bankruptcy attorney for a free consultation. Asking a St. Louis bankruptcy attorney or a St. Charles bankruptcy attorney for information about these means tests can help you determine if filing for Chapter 7 bankruptcy relief is worthwhile. 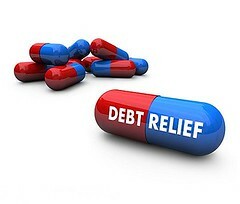 This is the case because they can help you use the results of the means tests to help you develop the best way to handle your overwhelming debts. To ask for your free consultation, please call us today for an appointment. We'd be happy to help you see how hiring a St. Louis bankruptcy attorney or a St. Charles bankruptcy attorney can help you use the U.S Bankruptcy Code's means tests to your advantage. 1 Comments to "A Brief Guide About the Chapter 7 Bankruptcy Means Tests"
Yes, true, the means test is a complicated calculation, and only an experienced bankruptcy attorney will know what deductions you can use and which not. If you have an inexperienced attorney you might end up in a chapter 13 for 5 years paying thousands of dollars to your creditors you would have saved hiring an experienced law firm, like the Licker Law Firm. Thanks! Post a Comment to "A Brief Guide About the Chapter 7 Bankruptcy Means Tests"